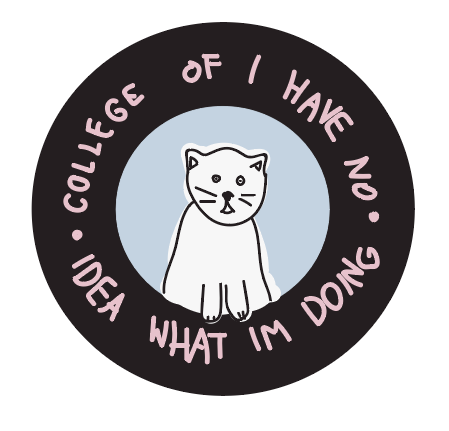 College of What Am I Doing? Some of you will be journeying to college soon. Others, it will be a few years. AND ITS SCARY! But thankfully some of you Grrlpunchers have been to college and have shared some of their everlasting wisdom. So thank you!! I know plenty of people who have started smoking because it goes with the scene. Cigarettes are dumb. You’re not. College is a brand new world with new people so don’t hesitate to like or dislike something based on other people. You’ve heard the peer pressure lecture, but once you graduate high school it’s immature and detrimental to not love what you love. How hard it is to GO TO CLASS. Skipping becomes so easy and can add up!! Take the earliest orientation possible. You’ll have a better chance of getting the classes you want at the times you want them. Get to know you teachers! Most of them are super cool and being on their good side will give you more of an advantage at the end of the semester or if you have any problems along the way. It takes time to make friends — you have to give yourself time to find your group, and if you don’t feel like going out one night its OK to stay in. Everyone is homesick!!! Everyone. Some just hide it better than others. It is OK if you do not like your school. When I decided to come home, I had to realize that transferring does not make me a failure, it just simply means I wanted to make a change. Sometimes your first choice doesn’t work out the way you planned, and it just wasn’t the best choice for you. A friend of mine gave me the best advice when I was still really struggling to make friends and feel at home in my new environment, she told me to do one thing every day, or week, that is out of my comfort zone. This could be, going to a club meeting, sitting in the lounge of your dorm to do homework instead of your room, asking a friend to dinner, etc. Continuing off the last point, you must put yourself out there — you will be thankful you did.